If you have a central air conditioner or heat pump that relies on a full charge of R22 refrigerant, the cost you pay this summer may be a bit of a surprise if you need to have it recharged. Due to the phaseout of R22 and a few missteps by the EPA that resulted in an industry wide shortage, the R22 price increase for 2012 has been anything but homeowner and contractor friendly. 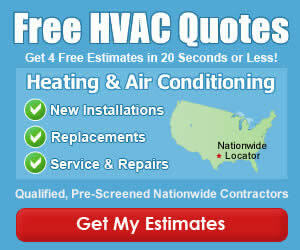 If your central air starts blowing hot air this year, be ready for a significant repair bill. 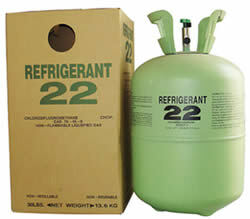 As a followup to our article last year about the cost to recharge your central ac or heat pump, we wanted to dig into the issue again, focusing on the problems some are having with r22 refrigerant. We decided to spend a full day on the phone, and call every Charlotte AC Repair Company we have in our reviews section. Another contractor just told us we need to have our 7 year old, 2-ton central ac unit recharged with r22 refrigerant. Can you tell us what your company will charge us for the service call, as well as how much the r22 will cost per pound? Although the question we asked was identical every time, the prices for an r22 recharge were all over the place! As we also expected, a few of the companies refused to provide an estimate without first sending out a technician to look at the system. One thing that was not crystal clear, was whether or not the company would charge a service call fee, in addition to the charge for the refrigerant recharge. Environmental Air Corp $89 $65/1st lb, $45/ea additional lb. Real Cool Heating & Air Conditioning $69 $131/1st lb, $126/ea additional lb. Air Works Cooling & Heating $79 $210/1st 2 lbs, $85/ea additional lb. Caskey Heating & Cooling $40 $89/lb, Leak Detection Not included. Averette Comfort Services $80 Refrigerant prices quoted onsite only. All City Heat and Air $49 Technician may require leak detection, prices quoted onsite only. Dulin Mechanical Services $85 $99/1st 2 lbs, $89/ea additional lb. $130 and up for leak detection, which was suggested. MTB Mechanical $59 $90/lb. Leak detection may be required by tech. Air Unlimited Heating And Cooling – $85/lb, service fee waived if all you need is refrigerant. Horne Heating & Air Conditioning $90 $100 leak detection fee, refrigerant prices only quoted onsite. Sunset Mechanical Services $49 $90/lb, No service call fee if only need refrigerant. $100 to locate leak. Patterson Heating & Air Conditioning $99 $71/1st lb, $61/ea additional lb. Charlotte Comfort Systems $89 Refrigerant estimates quoted onsite only. Bradham Brothers Inc $89 $90/lb. Acosta Heating & Cooling $89 $295/1st 2lbs, $154/ea additional lb. Service fee waived if only recharging. Adams Heating & Air Conditioning $89 $145/1st lb, $85/ea additional lb. **Companies not listed chose not to reply to our request for price information. In addition to our phone call to Charlotte area contractors, we sent many of them an email with a request to provide further information about the shortage, and how it was effecting the Charlotte HVAC market and their customers. Ed Burkhalter (eddie@beair.com), Owner of B&E Air Conditioning and Heating, told us that the price of R22 seems to rise and fall like the cost of gas in your car, depending on the supply of r22 being provided by manufacturers. Adding further that some of the local HVAC supply stores have imposed limits on the amount of r22 they will sell to contractors at one time, prohibiting any one company from depleting the high demand refrigerant. Ed was also very adamant about one thing. If your contractor offers to install an old-stock or phased-out r22 unit, you should decline. Insist on R410 refrigerant in your new central air conditioner or heat pump system. Although some companies were still installing r22 systems until inventories were depleted, B&E has been focused on R410 since 1997. If you want to learn more about R22 and the reasons for the industry shortage, the Air Conditioning Contractors of America has an active debate among professionals dealing with the ongoing issue. Have you recently had your r22 air conditioner or heat pump recharged? If so, please share the price you paid for the service, as well as any other details that can help your Charlotte neighbors prepare for the expense. If I had a license I could buy a 30lb canister of r22 for $300-$400. Why the 1000% mark up for HVAC recharging? How can they they charge $100/b when they buy in bulk an pay $10-$15/ lb. Because they have the license that you don’t. They also have overhead that you don’t. If you don’t like it get a license and buy a jug of R22. Then buy the gauges and temperature probes you need to charge it. Don’t know how to charge? Well there are schools that will teach you. Yea, they costs money. Then go get your EPA certification because you can’t use that jug of R-22 until you do. Yea, that costs money too. if you don’t like it, follow the advice of mace67. get an epa card, a set of gauges, and learn how to check out your own unit. with this heat wave dont be surprised to see $200/lb of r22 right now. you need it, we got it, supply and demand.